U.S. leaders have changed how they view threats in cyberspace and will now increase their focus on the capabilities of potential bad actors, Secretary of Homeland Security Kirstjen Nielsen said Oct. 3 at the Atlantic Council. The remarks came during a speech about the risk of cyberattacks on the United States. 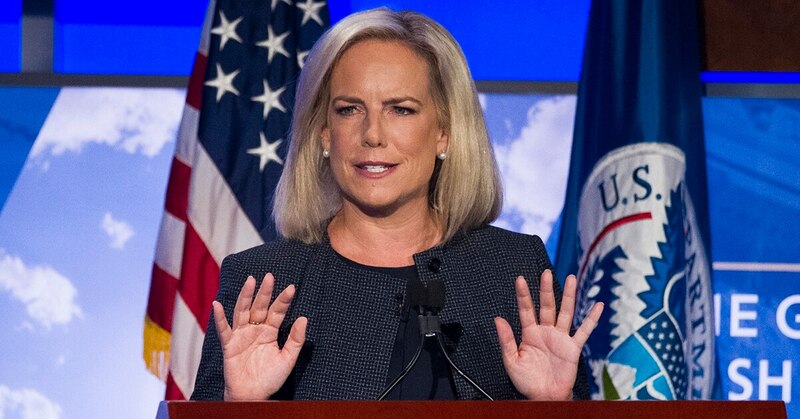 Nielsen’s comments come weeks after the Trump administration unveiled its national cyber security strategy, which promises to deter cyberattacks and create new red lines. Intelligence officials warn that Russia and other foreign countries are trying to influence the 2018 elections. The intelligence community has set up an “election security small group” this May, which monitors foreign influence and feeds information to the FBI and local election officials. The U.S. does not have evidence that any nation has the intention to disrupt the election infrastructure during the upcoming midterm vote, Nielsen said Oct. 1 during an event at the Washington Post, but warned that foreign countries have the technical capability to do so if they want.